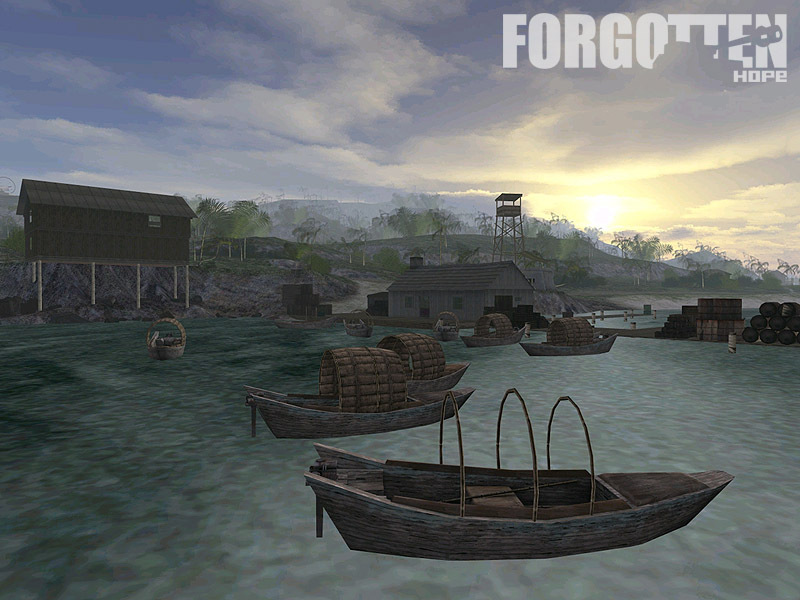 Hello, and welcome back for the latest Forgotten Hope news update. 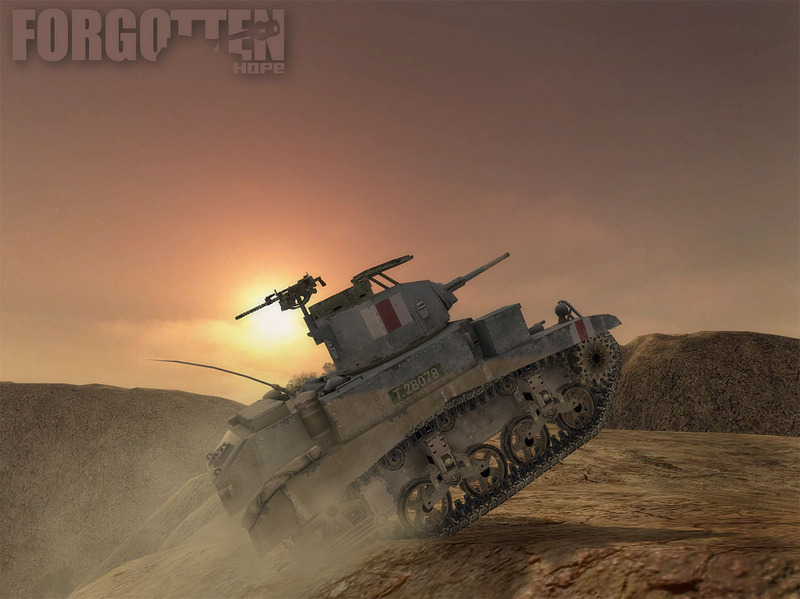 This week, our theme is light armored vehicles. 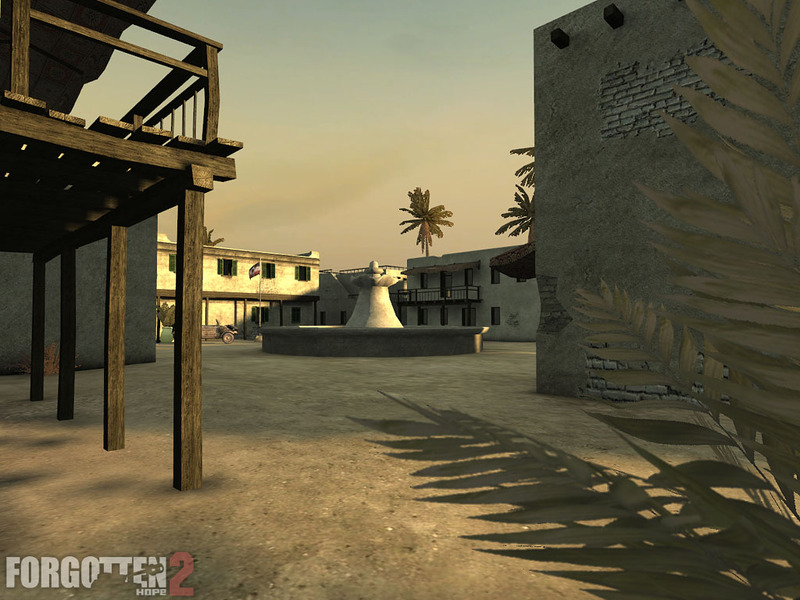 Before we get to the good stuff, I want to make a quick report on the upcoming Fan Map Pack for Forgotten Hope. 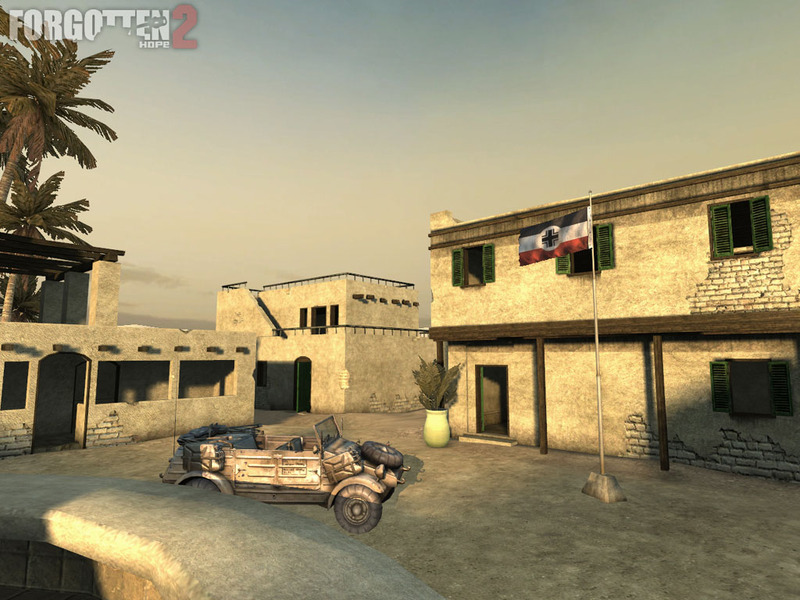 The following maps will be in the map pack, and the mappers should be reminded that they have until October 14th to complete any tweaks that they would like to see included. OK, enough business, on to the new goodies! 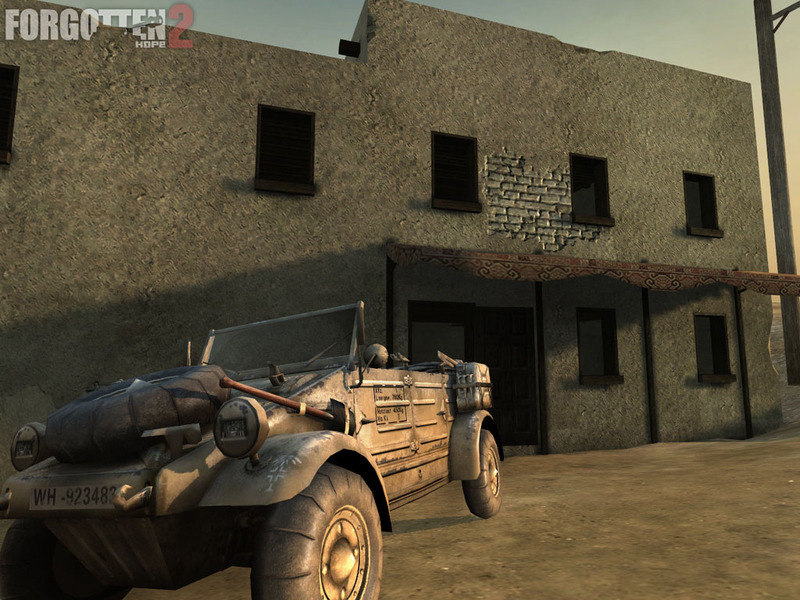 Our first offering is the SdKfz 251/1 Ausf C, which was modeled and skinned by K96. 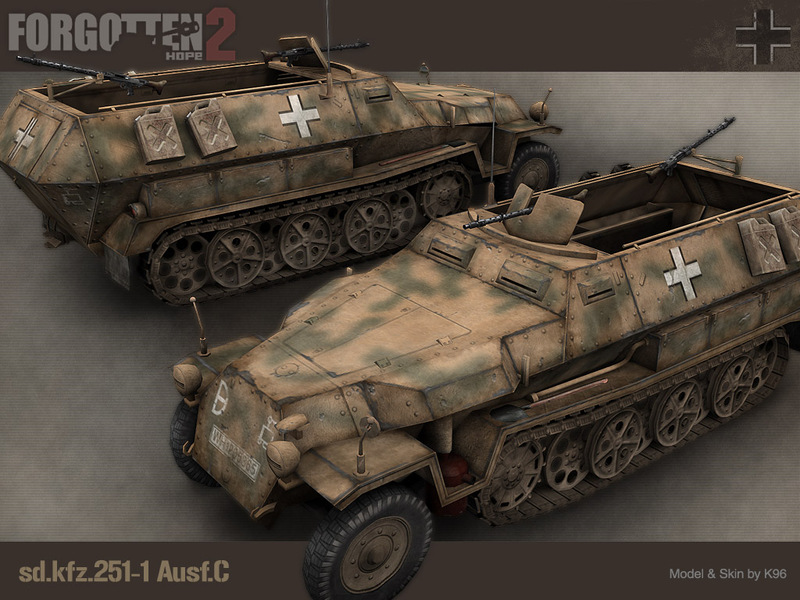 Developed starting in 1937, the SdKfz 251 was destined to become a workhorse APC in support of the Wehrmacht's highly mobile theories of war. 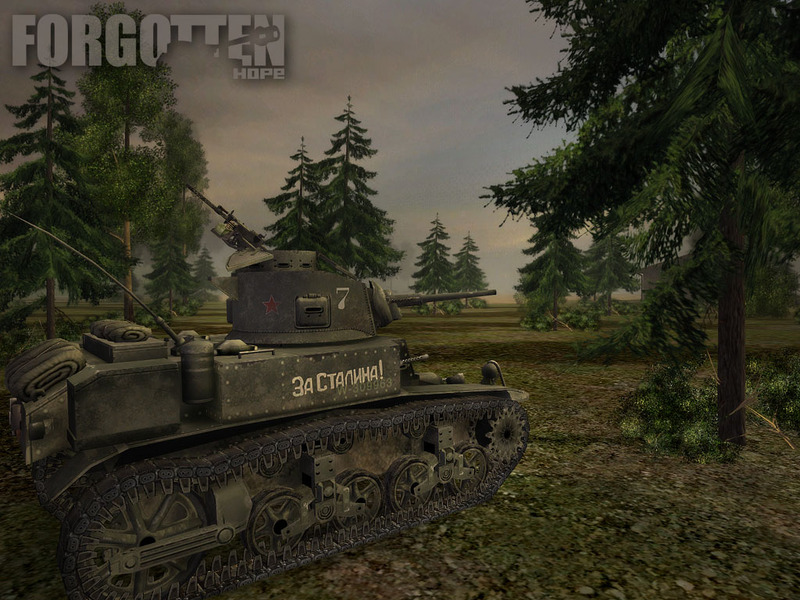 Its primary purpose was to carry infantry into battle, but it was adapted for many other roles, including as an antitank vehicle, to carry rocket artillery, and as a prime mover. 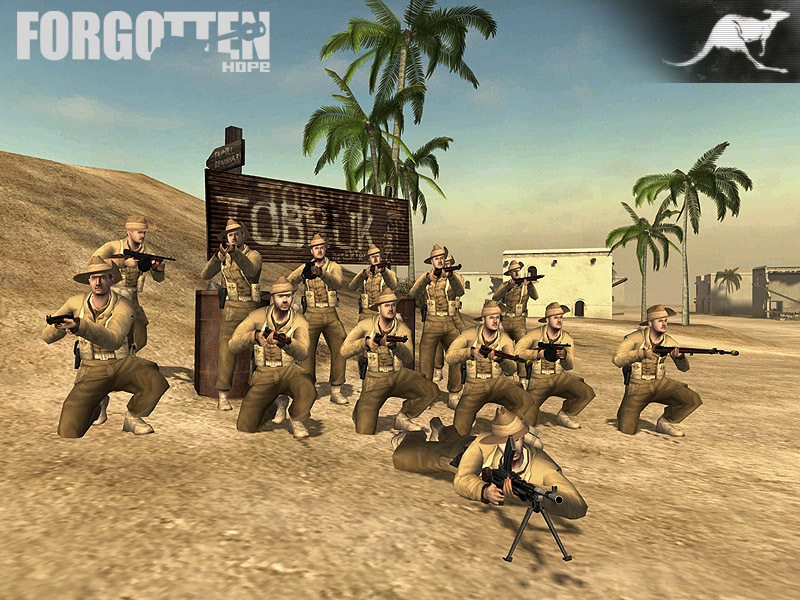 The basic version carried one or two machine guns and had room for a squad of infantry. 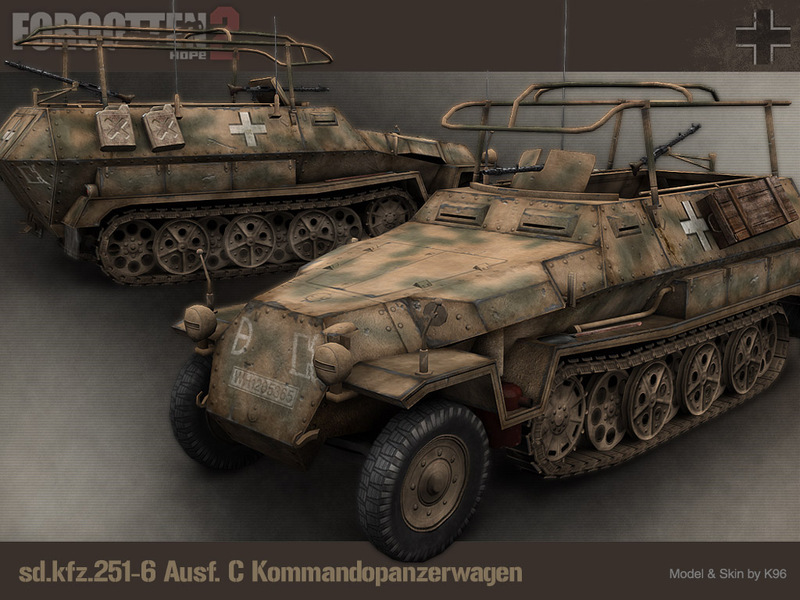 The SdKfz 251/6 Kommandopanzerwagen was a variant equipped to serve as a mobile command post. It can easly be distinguished from the basic version by the prominent radio antenna over the top of the passenger compartment. 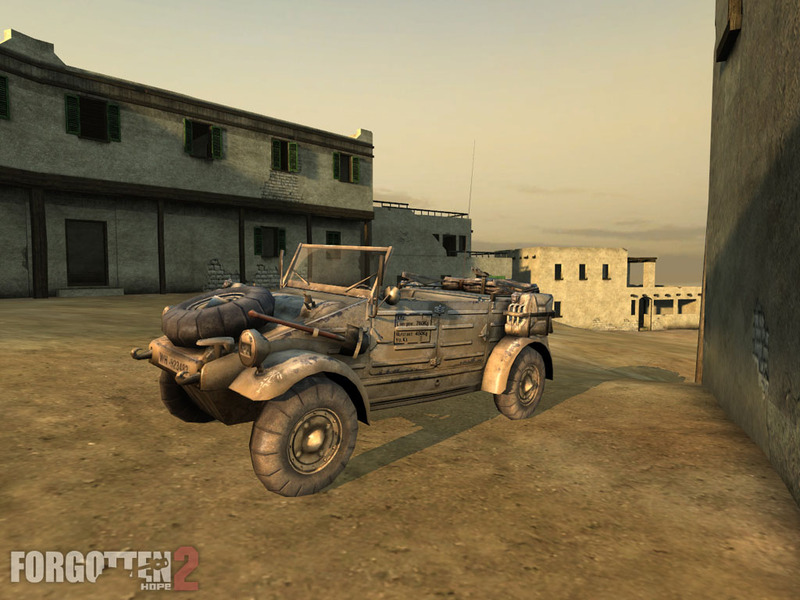 The SdKfz 251/6 was modeled and skinned by K96. The SdKfz 251/10 Sch�tzenpanzerwagen carried a 37mm antitank gun in place of the front machine gun, to provide additional fire support. 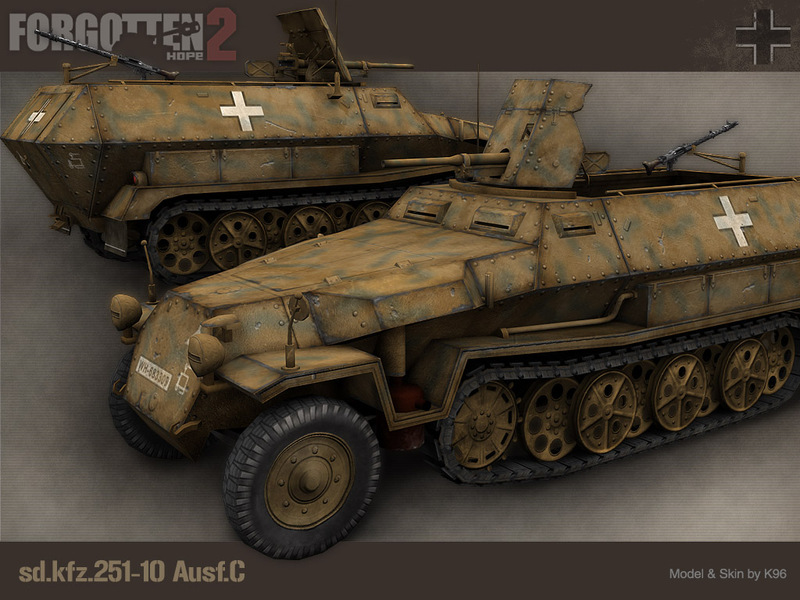 The SdKfz 251/10 was modeled and skinned by K96. 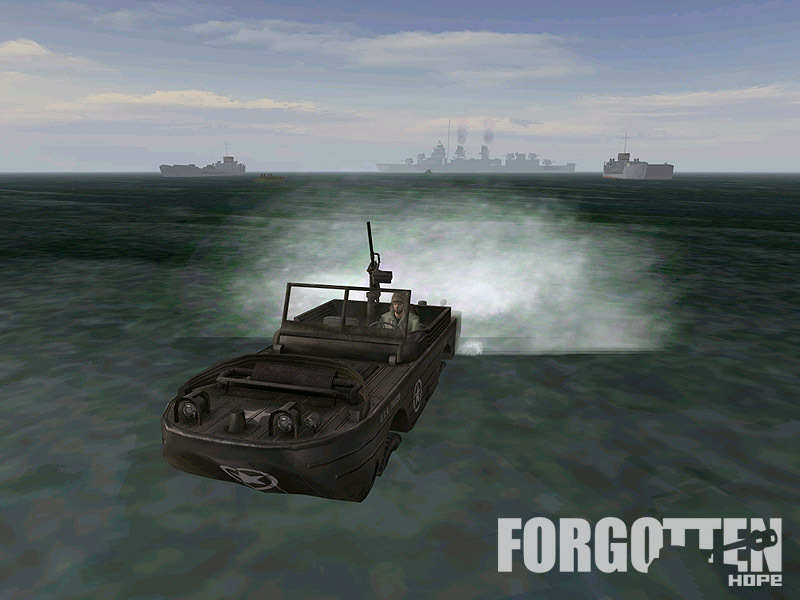 All of the preceding vehicles will first see battle in Forgotten Hope 2, and will not appear in version 0.7 of Forgotten Hope. 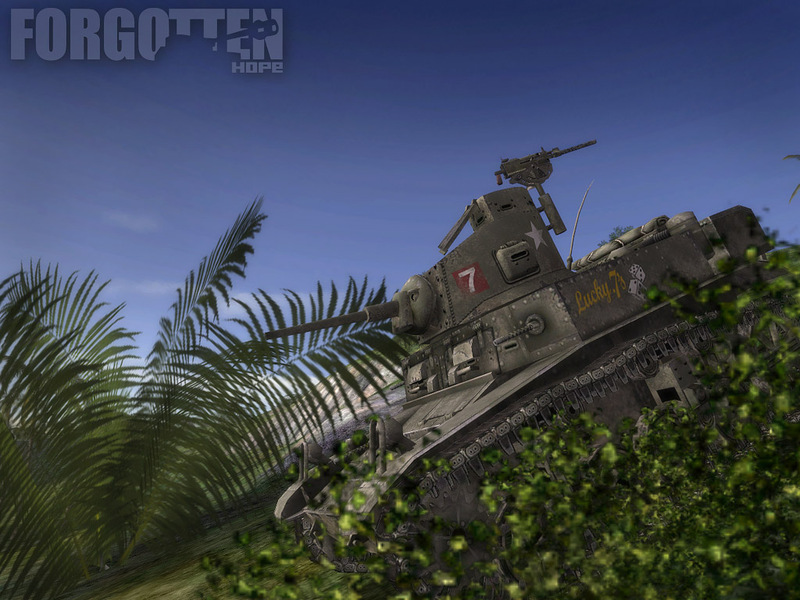 But as a treat for those that are eagerly anticipating 0.7 we have some in-game images of the new M3 "Stuarts" -- catching air on Gazala, avoiding tigers on Orel, and seeking a path through the jungle on Saipan. 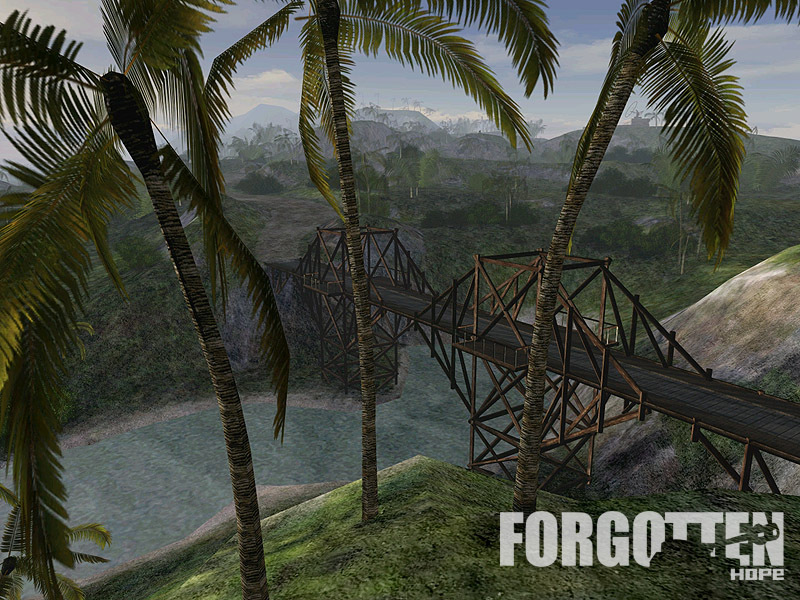 Hello, and welcome back folks, for the latest Forgotten Hope news update. Compared to last week's monster update, this one is rather casual. There is no unifying thread to this update either, just some new info and visuals for you to to examine. First of all, I am happy to announce that we have a new addition to the team. 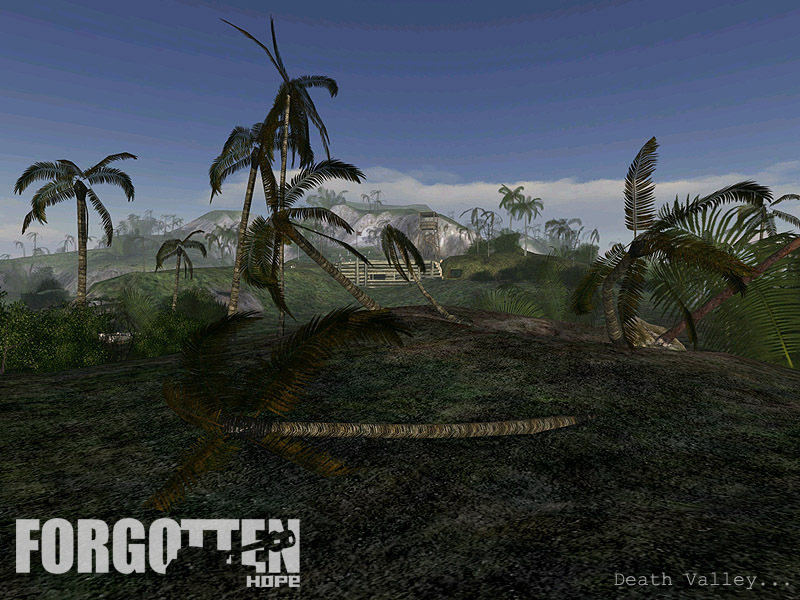 Ecsdesign will be making concept art and wallpapers for Forgotten Hope 2. Here is a stunning first offering from him showing British troops advancing through a cloud of North African dust. Lets all give a warm wecome to Ecsdesign! 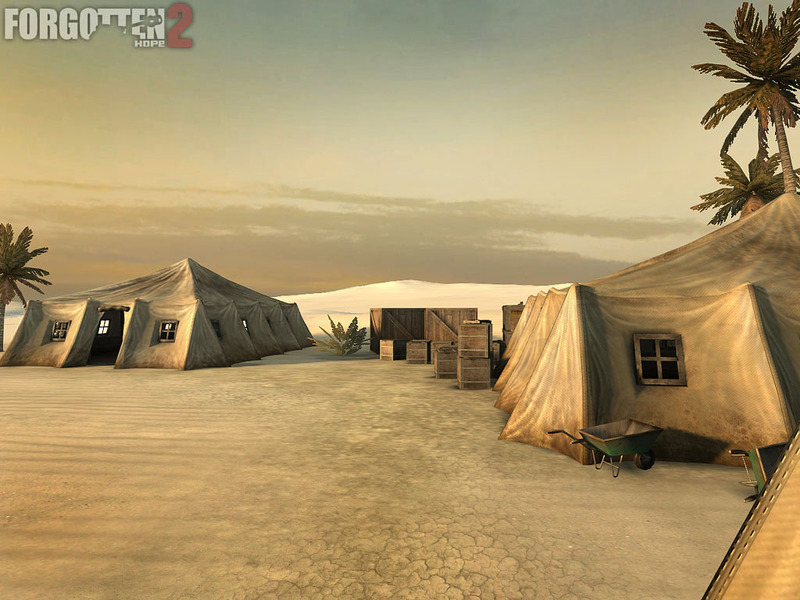 The unstoppable Rad has produced some new FH2 ingame screens showing a large military tent. 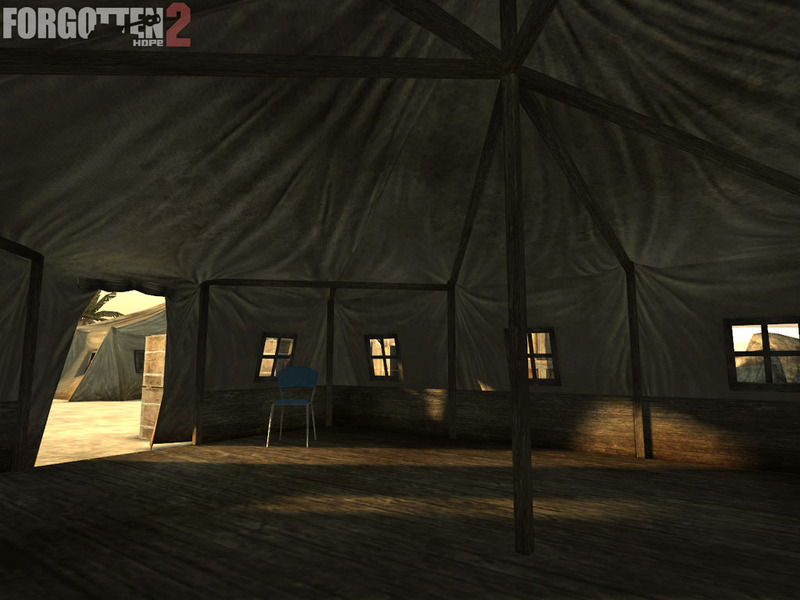 Coming soon, to a map near you, these tents are are suitable for storage, quarters, field hospitals, and much, much more! 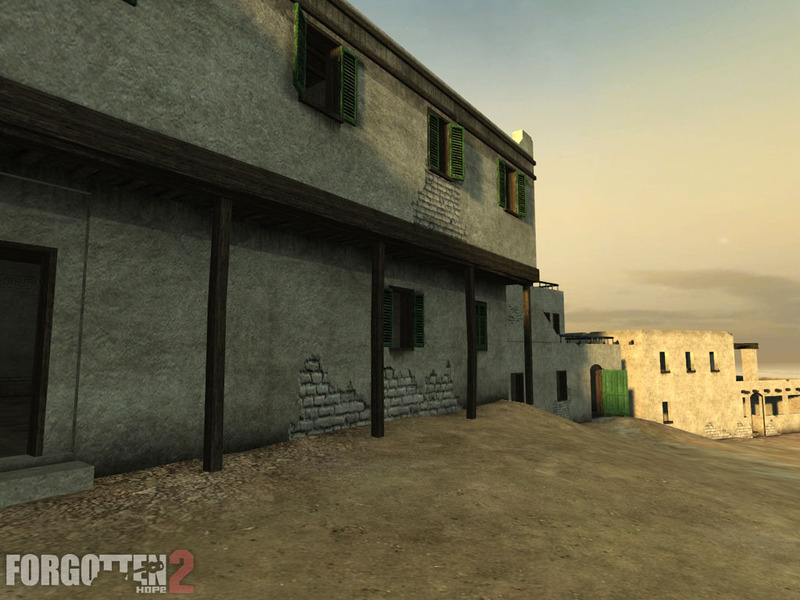 Finally, we have a little more map news about Forgotten Hope 0.7. 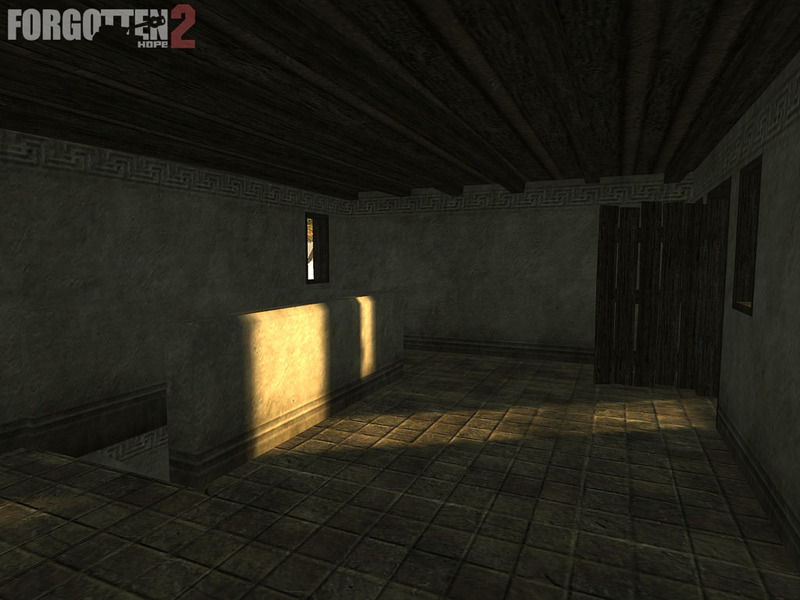 We will be including two maps by the highly esteemed Otolikos. 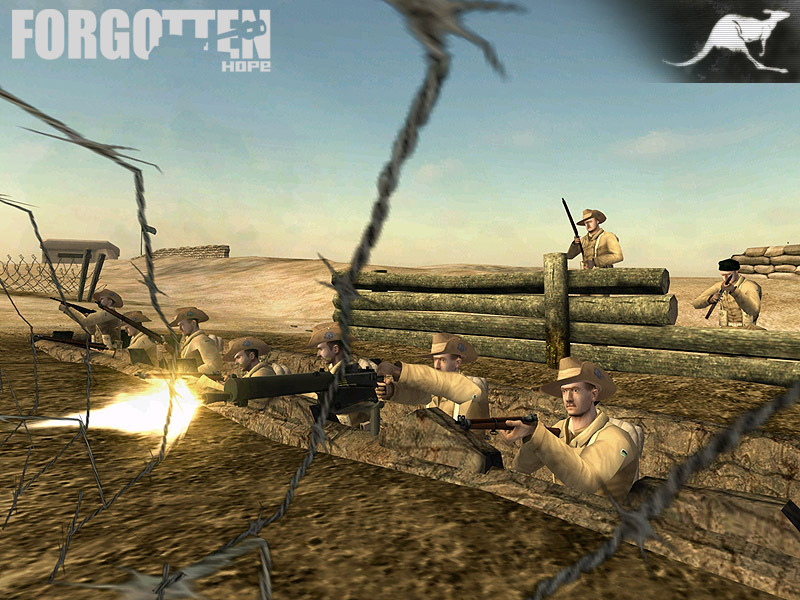 Both maps take place in Normandy, in the period after the June landings, but before the breakout, when the Allies were still consolidating their hold on the Norman peninsula. 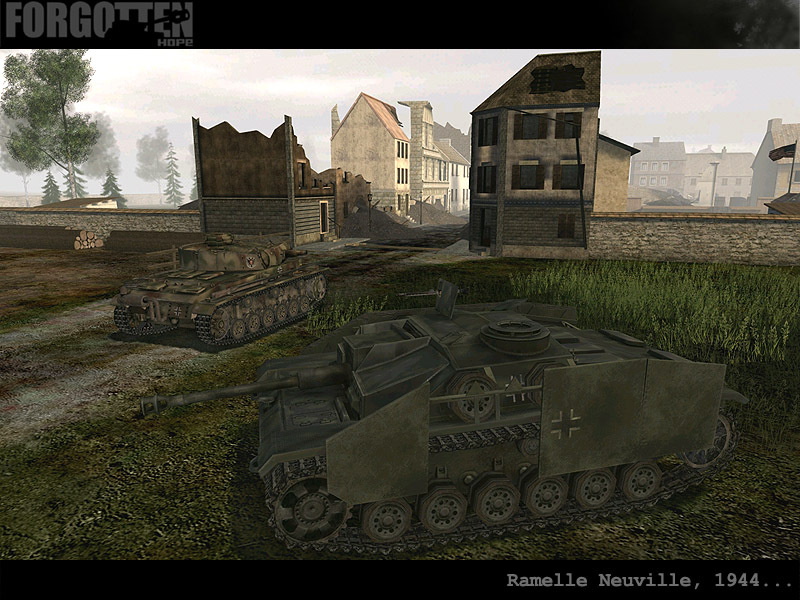 The first map, Ramelle, Neuville, 1944 has Allied infantry defending a Norman town from counterattack by German armor and infantry. 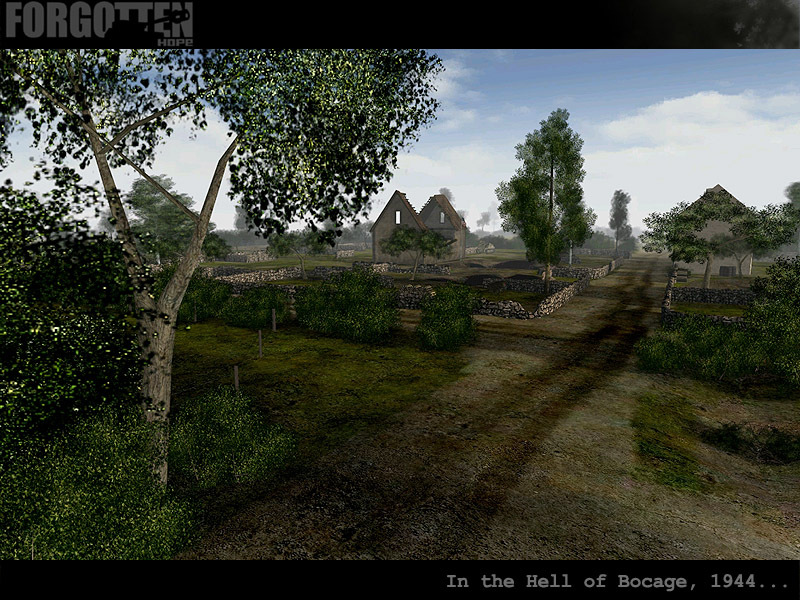 The second, In the Hell of Bocage, 1944, takes place in the dense hedgerows of Normandy. 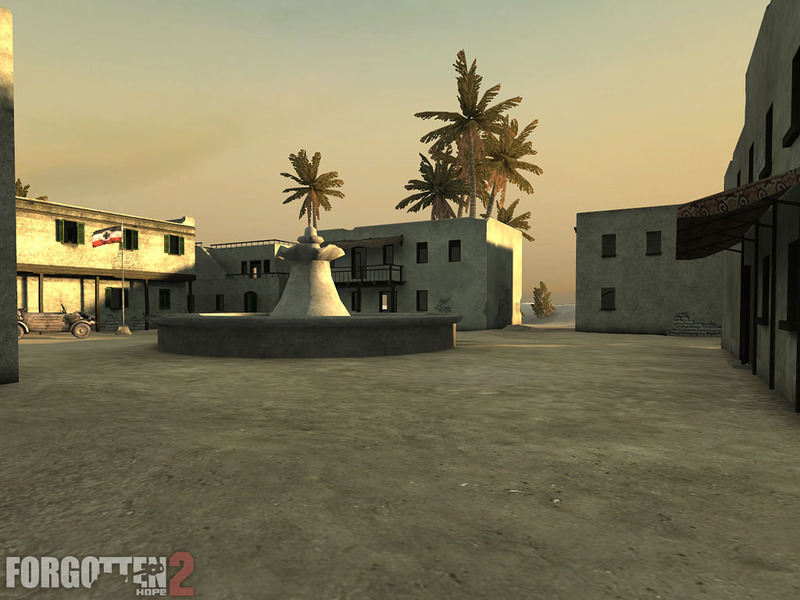 Both maps are intense, sharp fights, that we are sure you will enjoy. 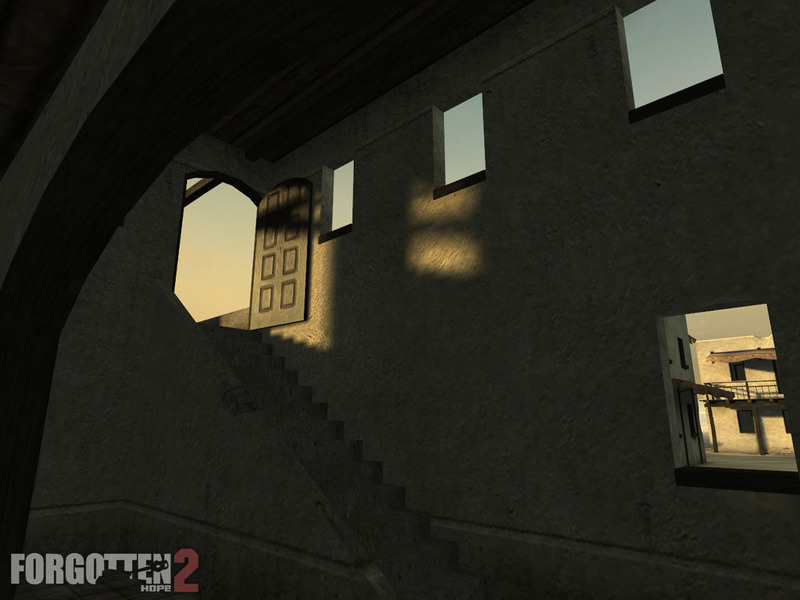 Hello and welcome back folks for an especially significant Forgotten Hope news update. We have lots of interesting new stuff to show you, for both FH1 and FH2, but first we have an important announcement: Armin Ace is stepping down as the leader of Forgotten Hope. For three years Armin has been tireless in his labors for the mod, both as a modder and as team leader. Now his work obligations have increased to the point where he no longer has enough time for FH. Hopefully, Armin will someday be able to come back and make some new stuff for FH2, but until then, we wish him the best in his new pursuits. 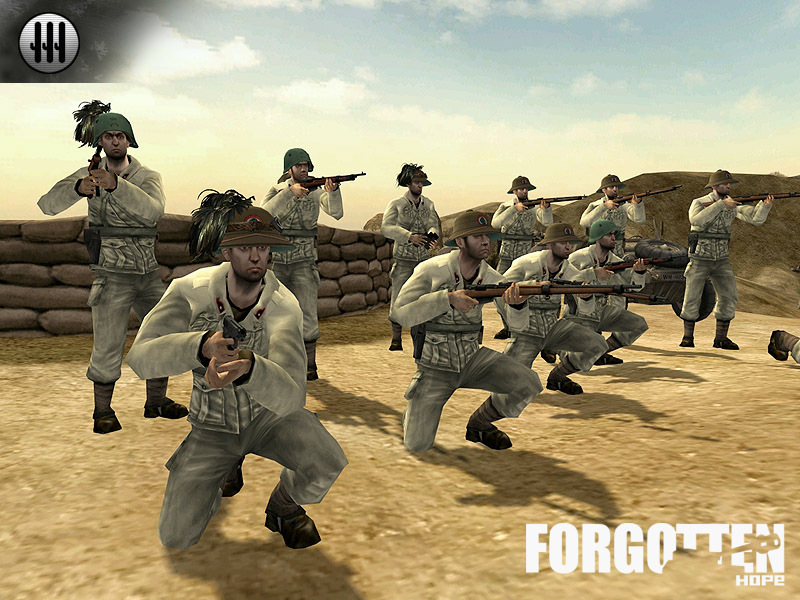 Please join the FH team in a salute to Armin Ace for his great contributions to the BF1942 community, and also in congratulating him on his new job responsiblities. 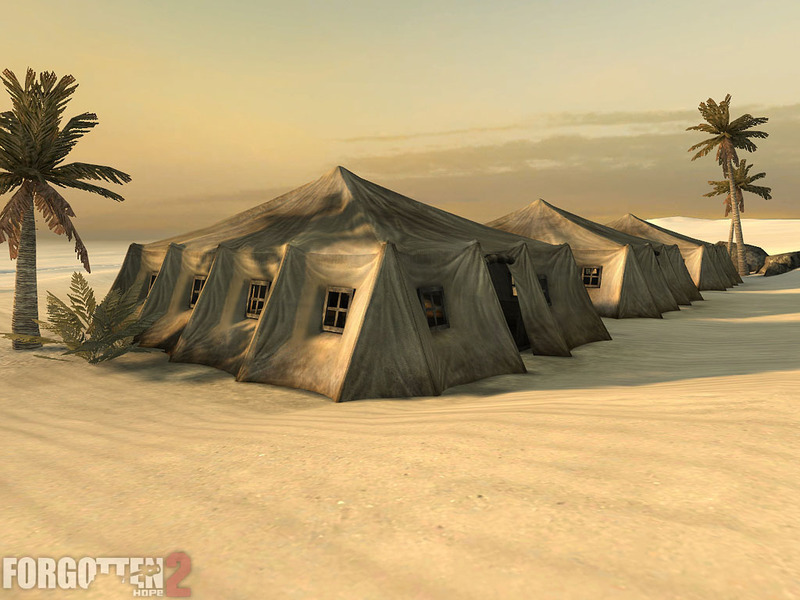 Lobo will be taking over Armin's role as we wrap up FH 0.7 and prepare the first release of FH2. Please give him a big hand for accepting this difficult and time consuming task. Anyone who has general business to conduct with the mod, such as new dev applicants, should contact Lobo at lorenmarti68@hotmail.com. OK, as we promised, we have plenty of new goodies. 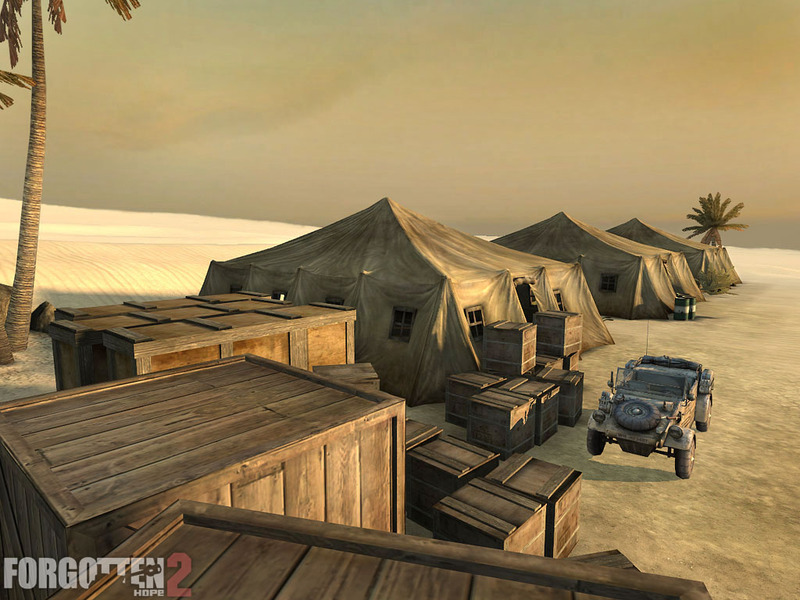 For starters we have our first ingame shots of some things for the first version of FH2. 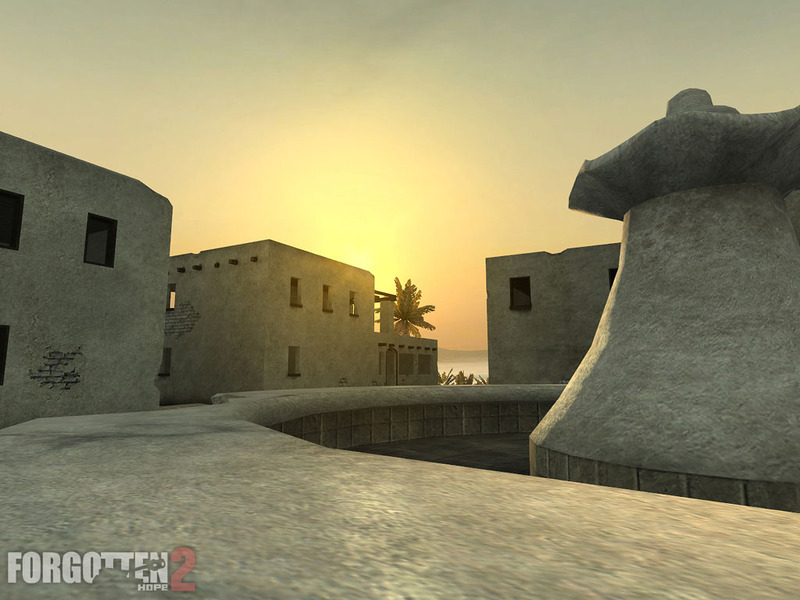 The first group of images shows off some lovely new North African style buildings by Malsa, as well as a public fountain by Rad. These statics are only for Forgotten Hope 2 for BF2, and will not appear in 0.7. 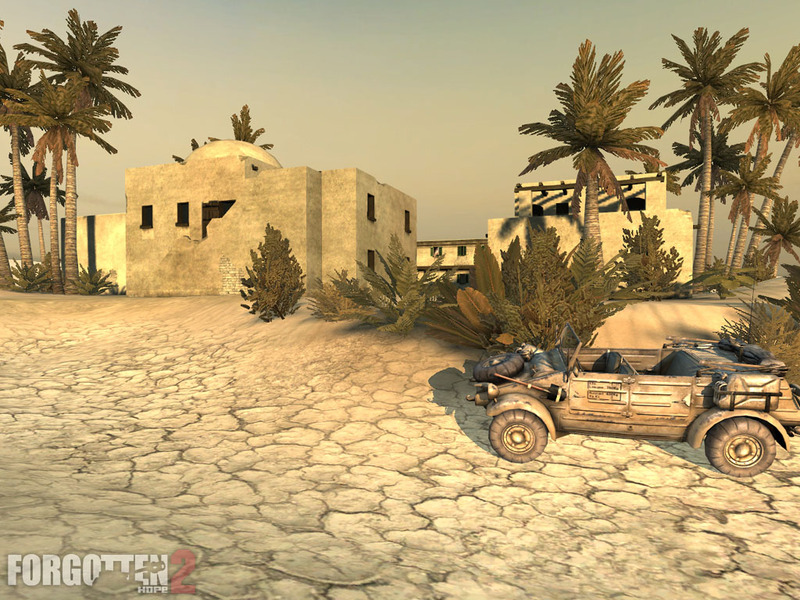 Next here are some ingame looks at Rad's African theater Kubelwagen. 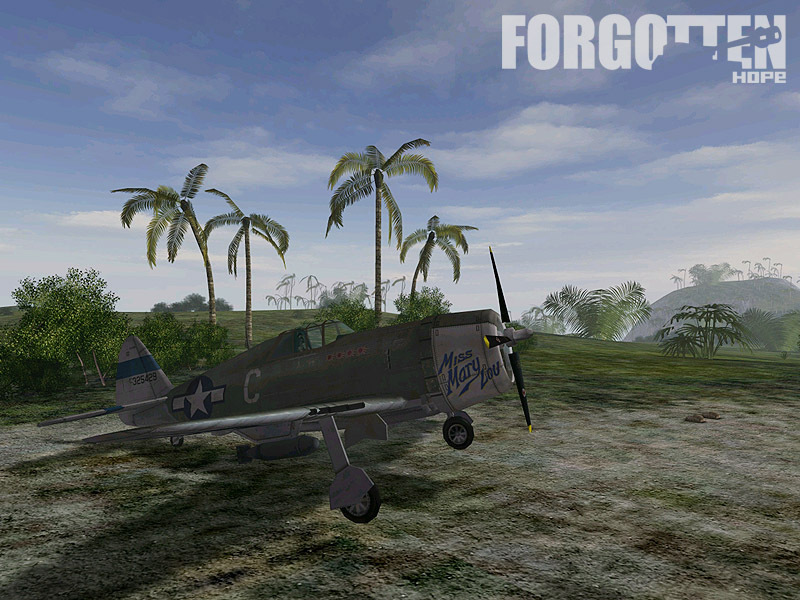 You have all seen ingame shots of it before in BF1942, but it looks even better in BF2! Finally, before leaving the BF2 goodies behind, lets take a closer look at Malsa's building one more time. 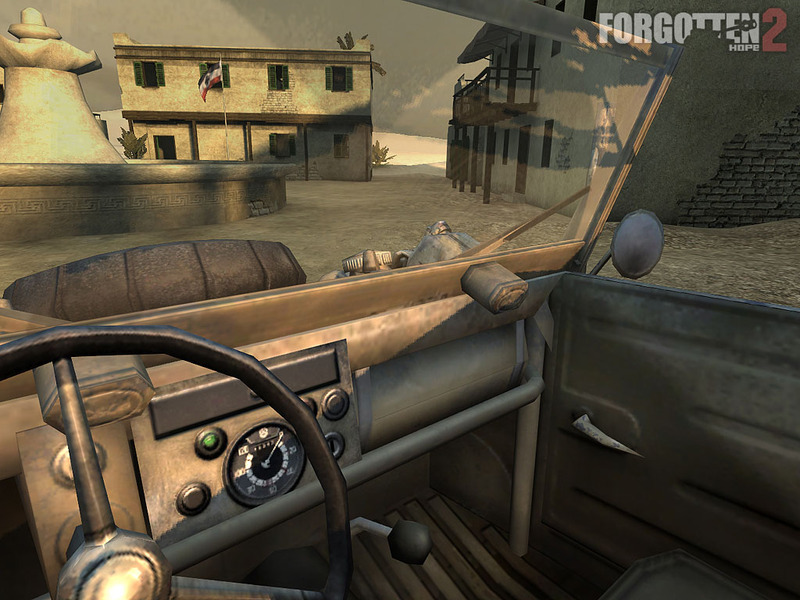 Expect to spend a lot of time in here while you are waiting for antitank support. 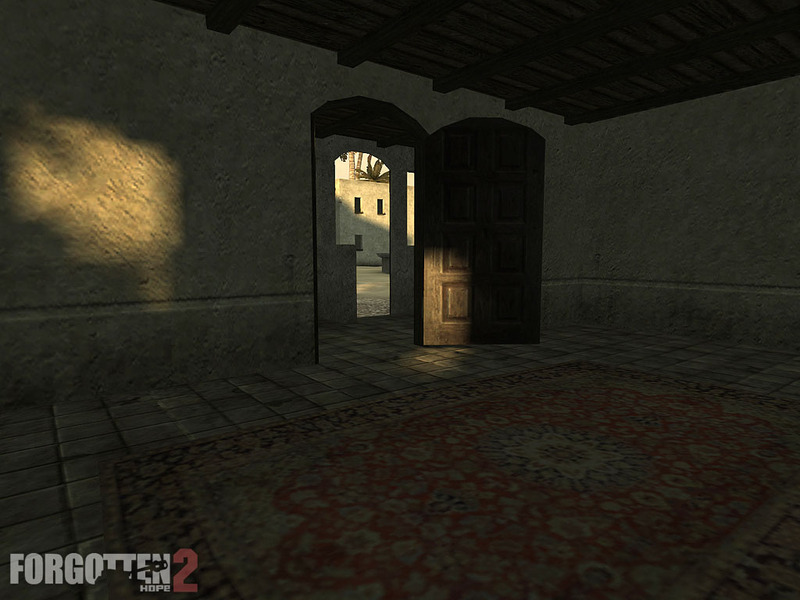 In case you were wondering whether we had run out of new surprises for 0.7, never fear. 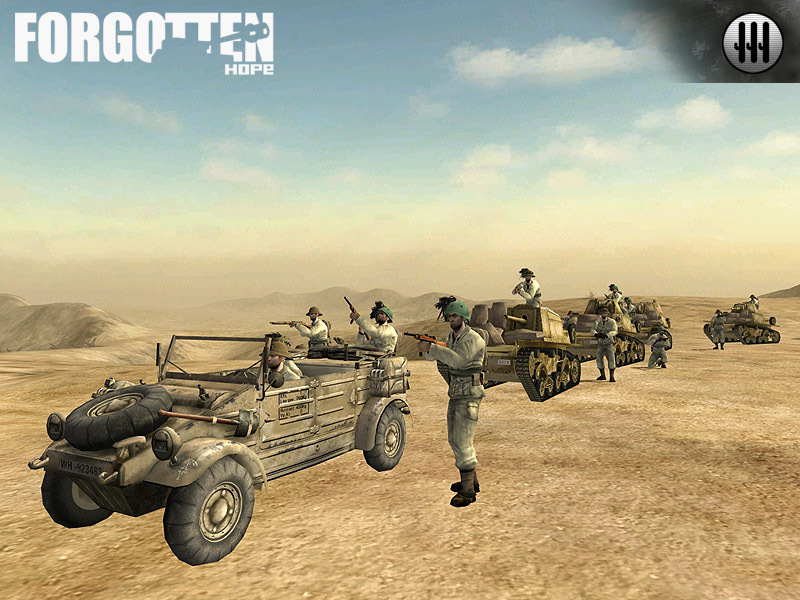 Our Tobruk map has been taken over by Italians and Aussies! 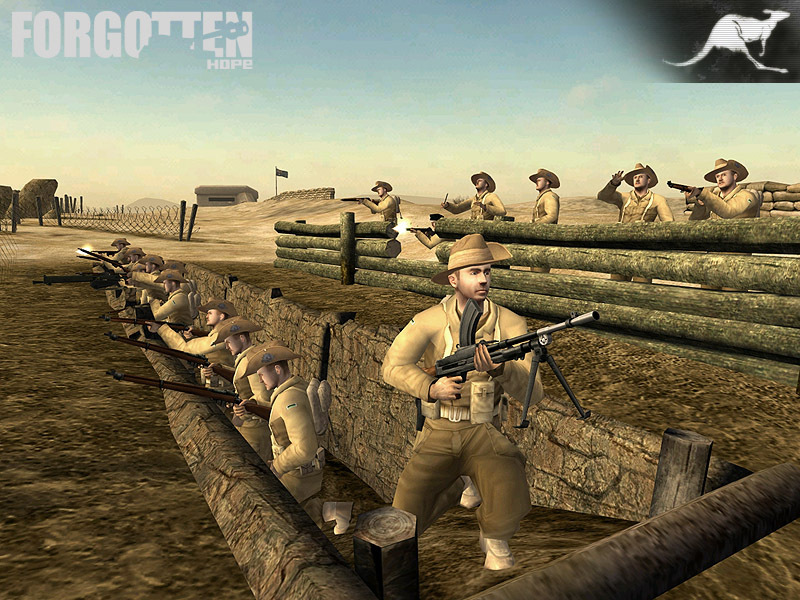 Many thanks to all the former members of The Lost Battalion mod team (one of whom, Augustus has joined FH) for supplying the excellent Australian voice pack! 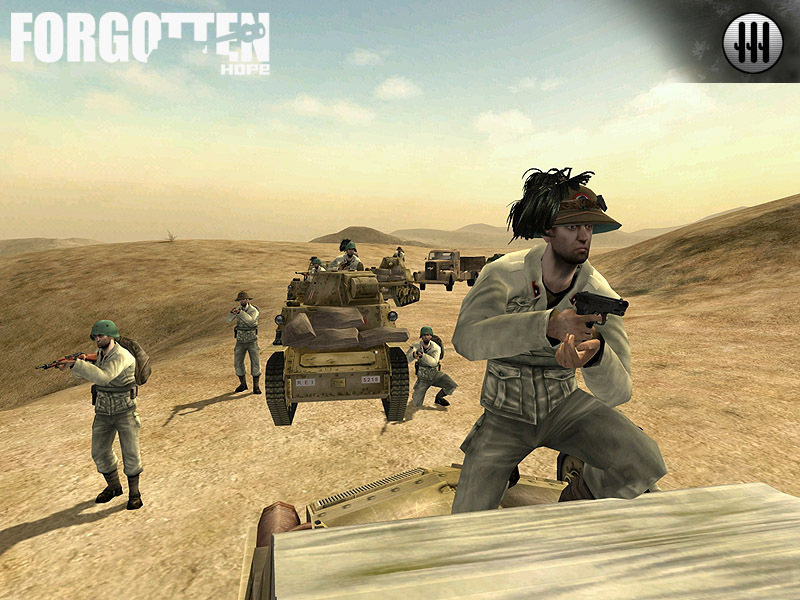 The rework of Tobruk was by Lobo, who also made slouch hats for the Aussies, as well as feathers and pith helmets for the Italians(with some help from Stuka). The Italian uniforms are by McGibs. Also thanks to all our testers who helped us stage these pics. 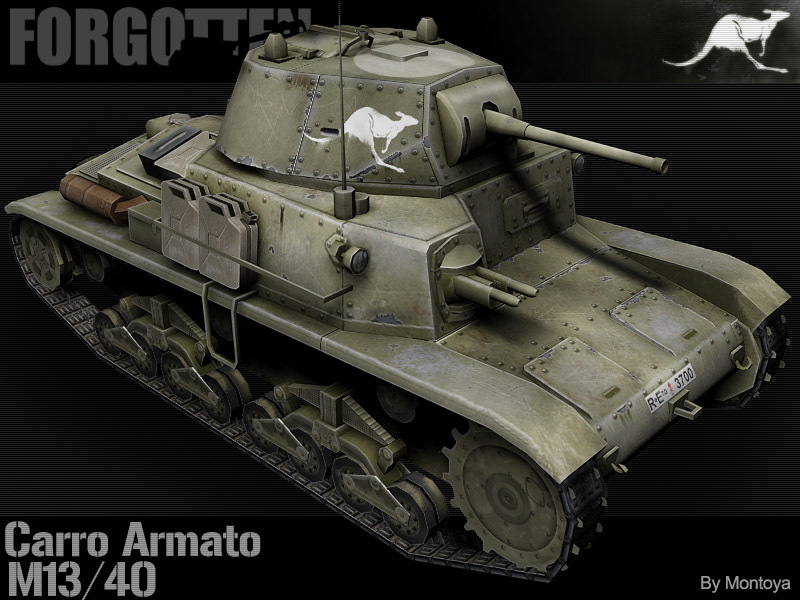 As a last treat, those wily Australians have stolen some Italian M13/40s and turned them against their former masters. This actually occurred, as the Commonwealth forces had captured large amounts of Italian equipment during the opening stages of the war. That's it for today folks. We hope you enjoyed the update and would like to invite you to visit our public forums to discuss this or other Forgotten Hope news. 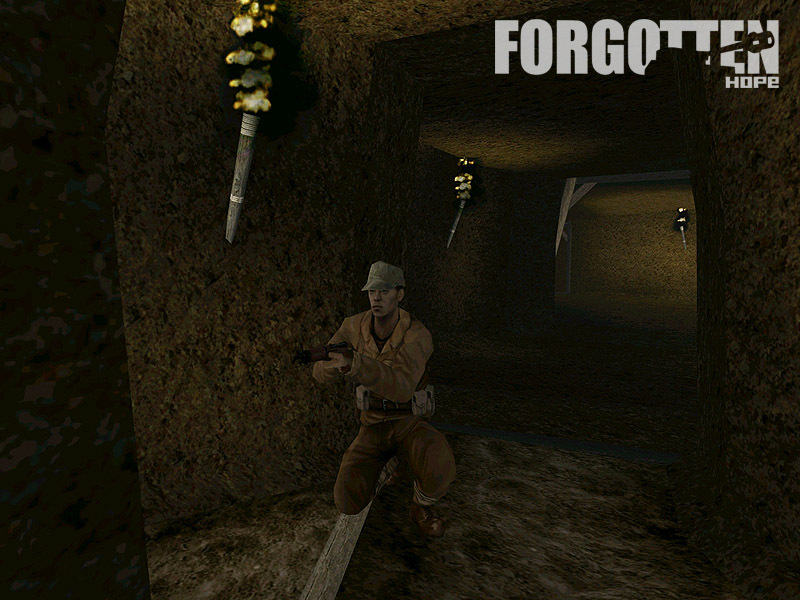 Hello and welcome back folks for another Forgotten Hope news update. 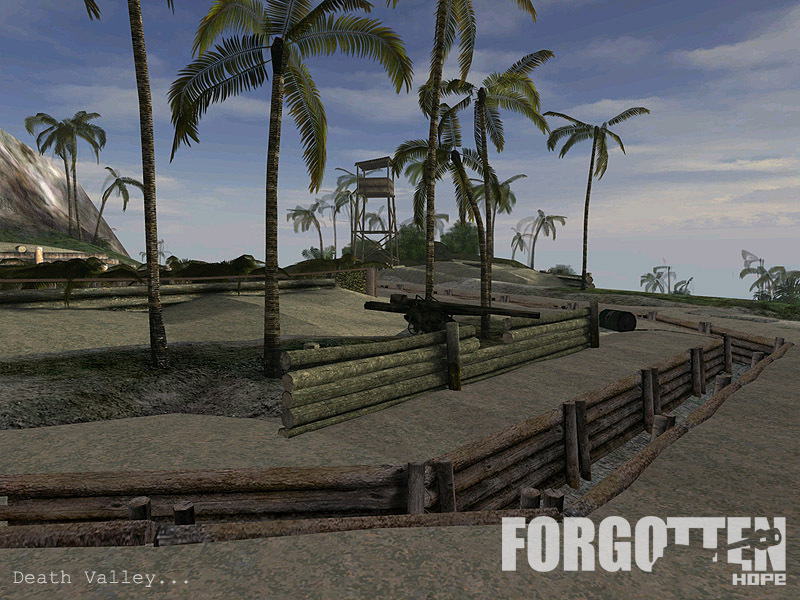 This week's update is about a completely new Pacific map, based on the battle of Saipan Our new map was made by Real-BadSeed, with a little help from Dime a Dozen and Lobo. By mid-1944, Allied forces in the Pacific had driven Japanese forces back to the main line of defense for the home islands. If the Marianas fell, the newly introduced B-29 Superfortresses that could base there would be within range to strike directly at Tokyo, making Saipan--the largest Island in the northern Marianas--a position that Japan could not afford to lose. 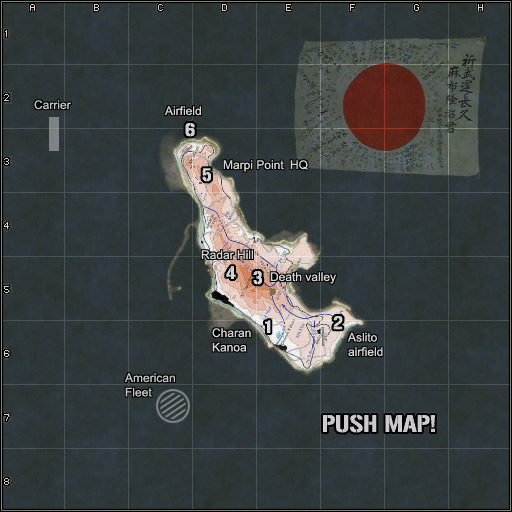 U.S. Marines began landing on June 15th, gained a thin foothold after a day and a night of bloody fightiing, and were reinforced the next day by Army units from the 27th Infantry Division. 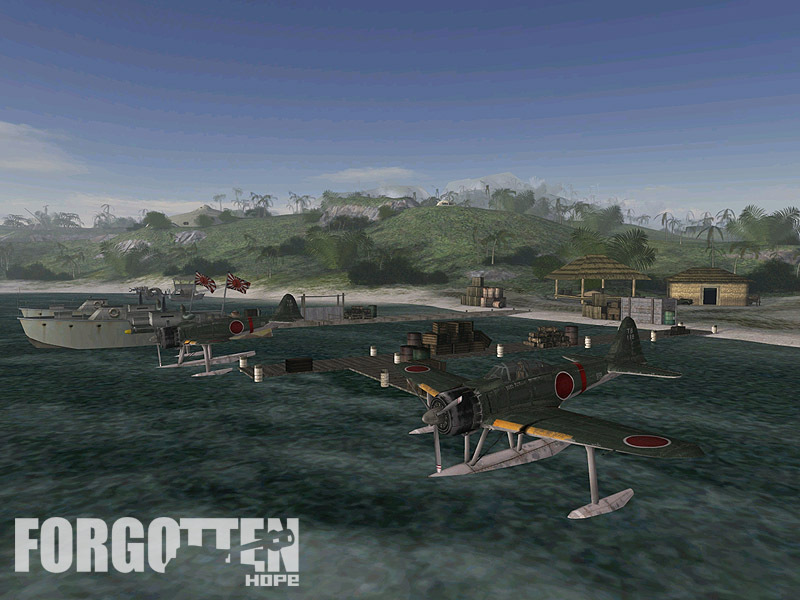 An attempt within a few days by Japanese naval forces to counterattack resulted in the Battle of the Phillipines Sea, which ended a disastrous loss for Japan by the 20th. 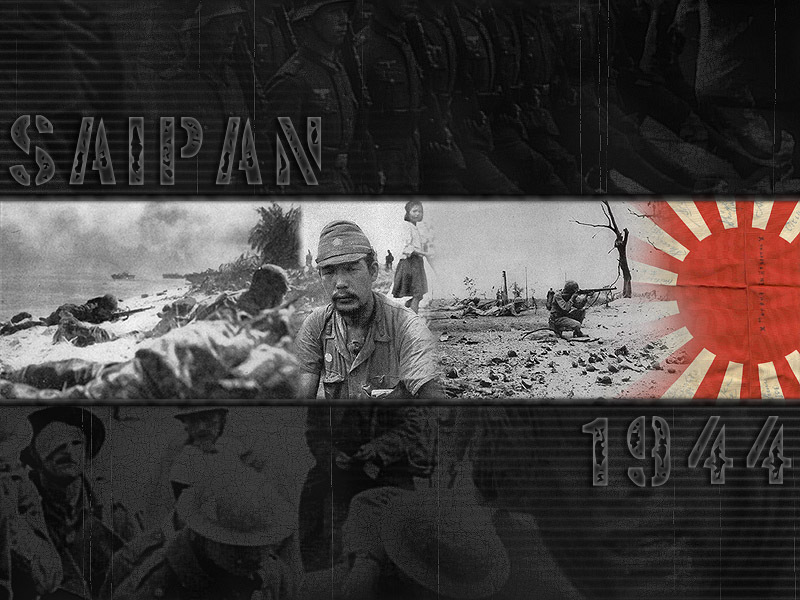 Without hope of reinforcement or resupply, Saipan's defenders held out for almost three more weeks, most of the last remaining forces perishing in a suicidal charge on July 7th. 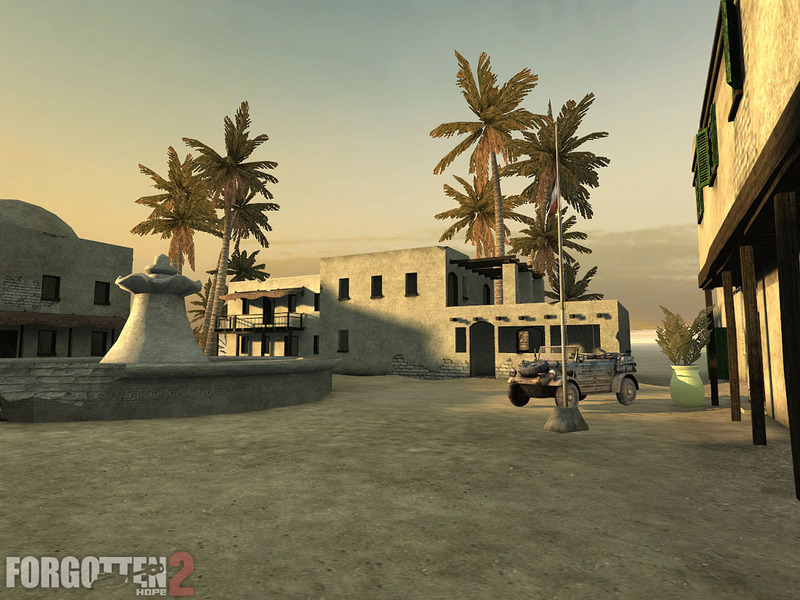 As a last bit of eye candy we want to highlight a couple of items that were made especially for this map by Rad. 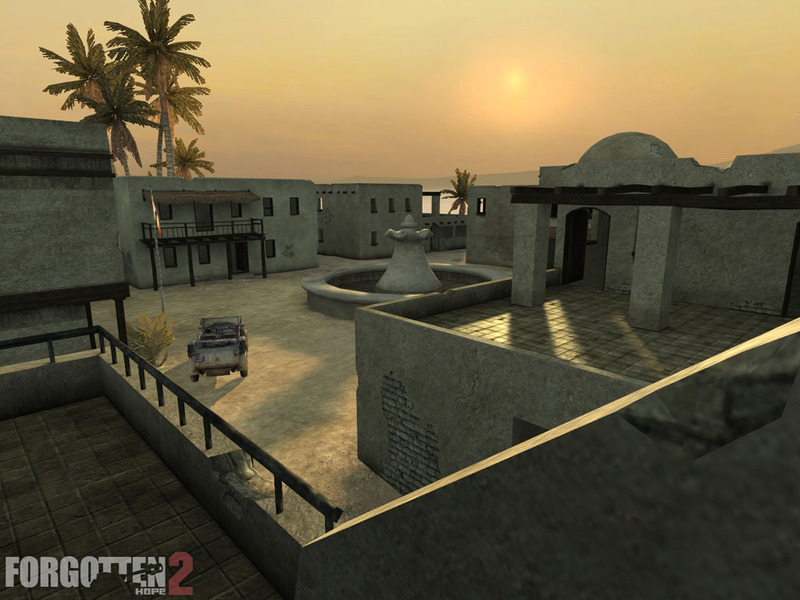 Neither have any place on a North Africa map, but they will be returning in FH2 on Pacific maps in the future. 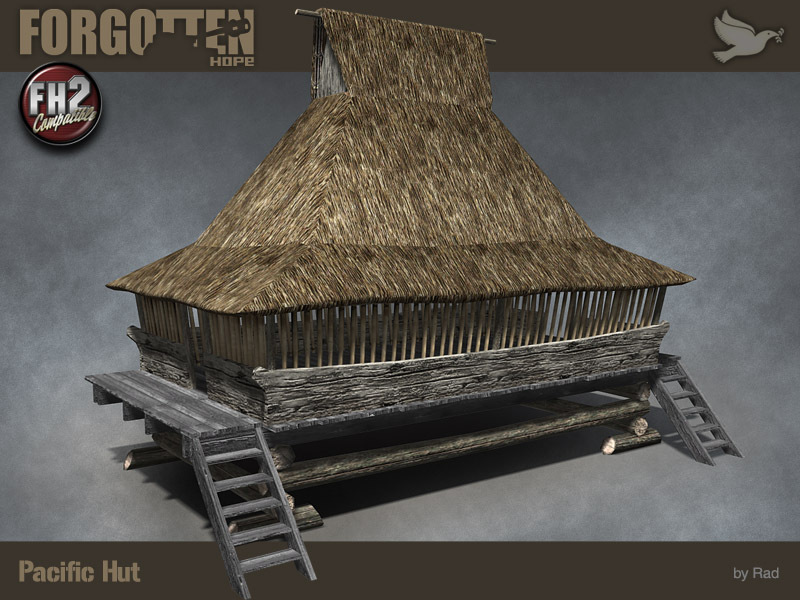 First we have a beautiful wood and reed hut. 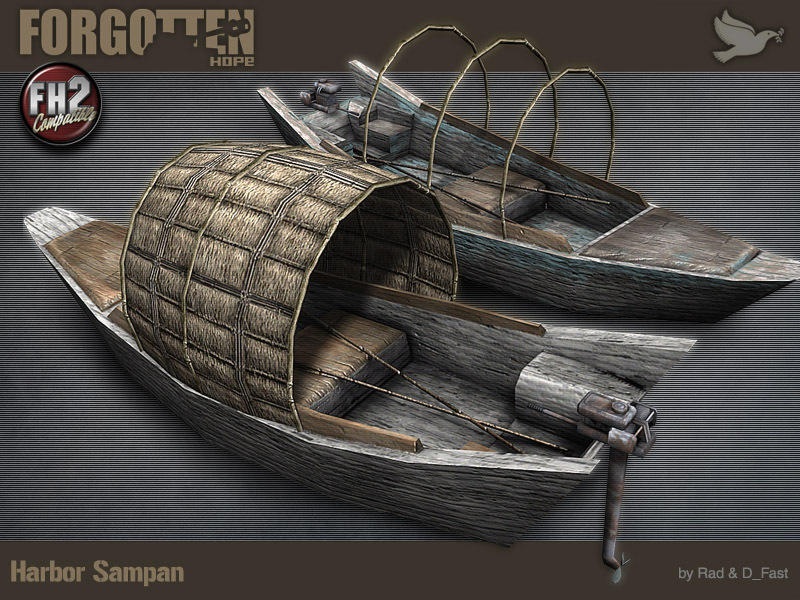 And, in keeping with Rad's tradition of making extremely slow-moving, unarmed vehicles, we have the Harbor Sampan.